1977 was the year Jimmy finally hit it big. Jimmy caught a big wave at the beginning of the year as he opened for his good friends The Eagles on there Hotel California tour for several dates in March and July. These were Jimmy’s first arena shows and stadium shows which allowed him to get his music to his biggest audiences yet. 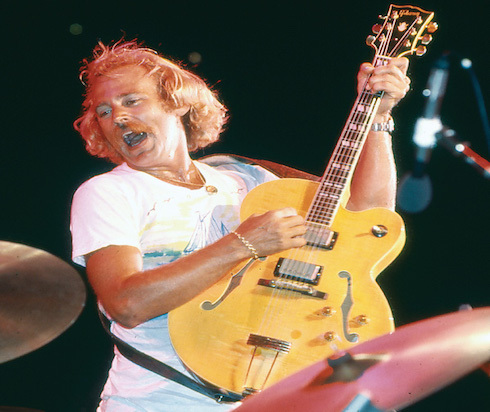 “Margaritaville” flew up the charts in the summer, helping the summer tour grow to many of the amphitheatres that Jimmy still plays today. The August 2 show in New York at the Dr. Pepper music festival was broadcast along the east coast on WNEW, Jimmy’s first radio broadcast since 1975. Jimmy opened for Fleetwood Mac at County Stadium in Milwaukee, WI. before embarking a fall headline tour with Jesse Winchester opening shows throughout the south and along the east coast. The band saw some significant changes as Tim Krekel replaced Roger Bartlett on Guitar, Michael Utley and Jay Spell took over the piano and keyboards duties from ‘Fingers,’ and studio drummer Kenneth Buttrey replaced Michael Gardener on drums in the summer. Check out all the 1977 tour dates we’ve uncovered below!